Get your fitment data on Amazon and eBay and all the fitment centric marketplaces. 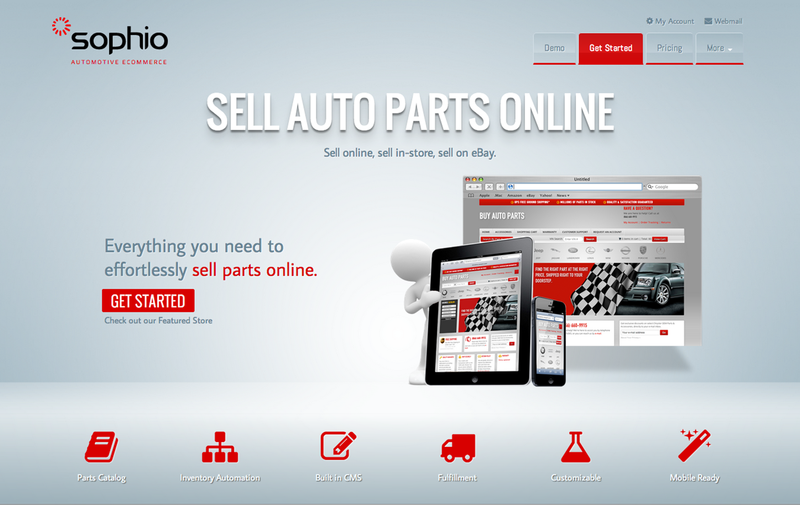 Since 1999, Sophio has been building websites, web stores, and electronic catalogs for manufacturers and distributors in the replacement parts industry. Our founder was a pioneer in the field, and sat on the board of the NCMA when the very notion of standards seemed impossible. The ACES, PIES, and IPO standards have made eCommerce the fastest growing and fastest disrupting channel in our industry. Step 1 - ACES, Step 2 - ACES syndication, Step 3 - The reincarnation of your distribution and selling models. Signup for a FREE TRIAL today.